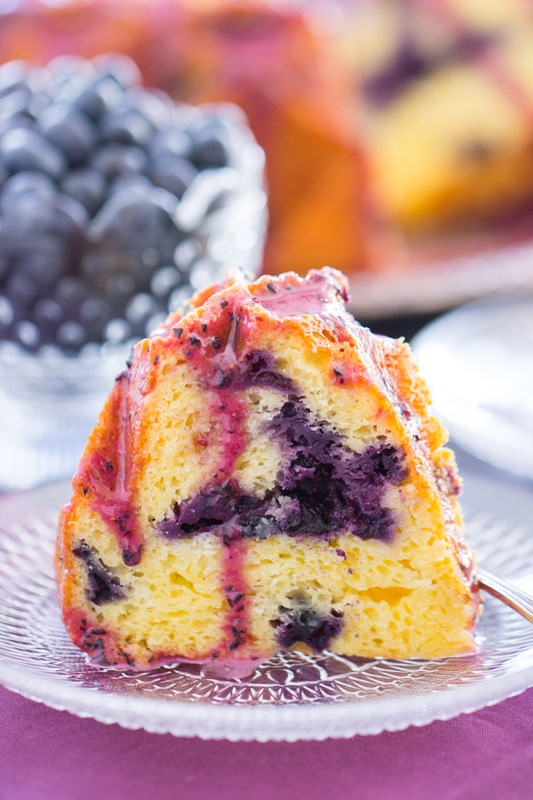 This Blueberry Bundt Cake is quick and easy to make, from beginning to end. 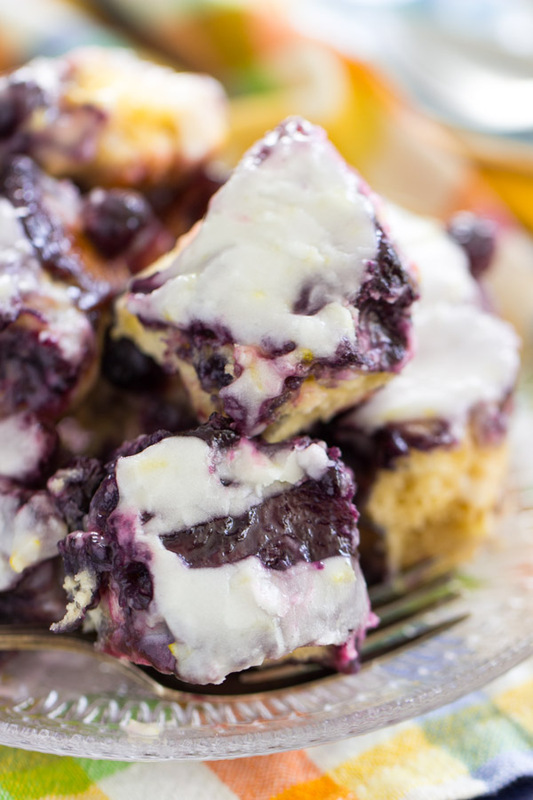 It’s bursting with fresh, plump blueberries, and doused in an elegant blueberry glaze! 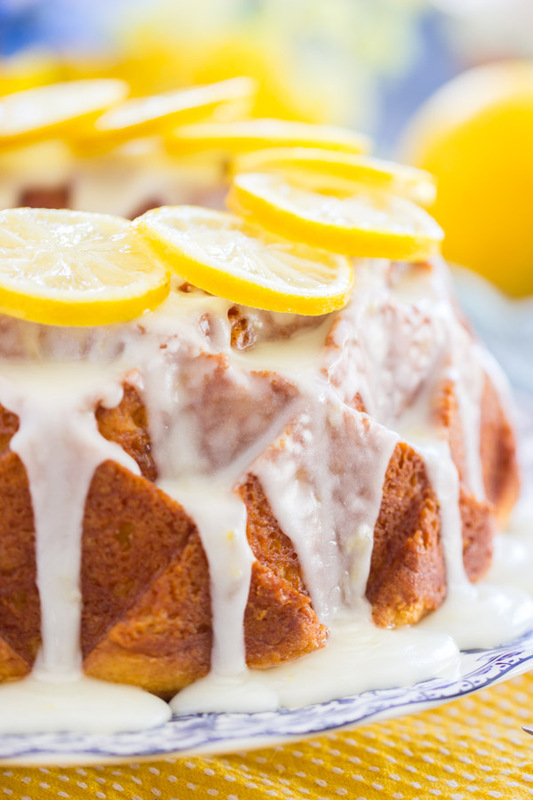 How do you follow up a Lemon Bundt Cake?? With a Blueberry Bundt Cake, naturally. 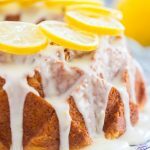 You guys love this Lemon Blueberry Bundt Cake with Lemon Glaze, and I wanted to break that down and give you a super-lemony, bright, fresh, tangy, sweet Lemon Bundt Cake – just straight-up, pure lemon. 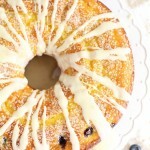 Then it was a snowball effect, and it gave me the idea to make an unadulterated Blueberry Bundt Cake. Just white cake, plain and simple, with no other flavor but blueberry. 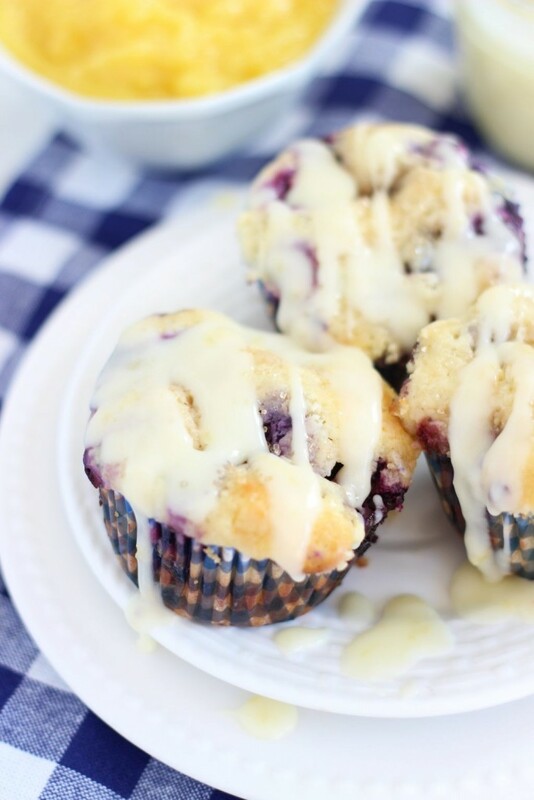 Blueberries in the batter, and a blueberry glaze on top. Elegant, flavorful, but also: easy. Easy, easy, easy. Okay, that glaze. It’s so lovely. 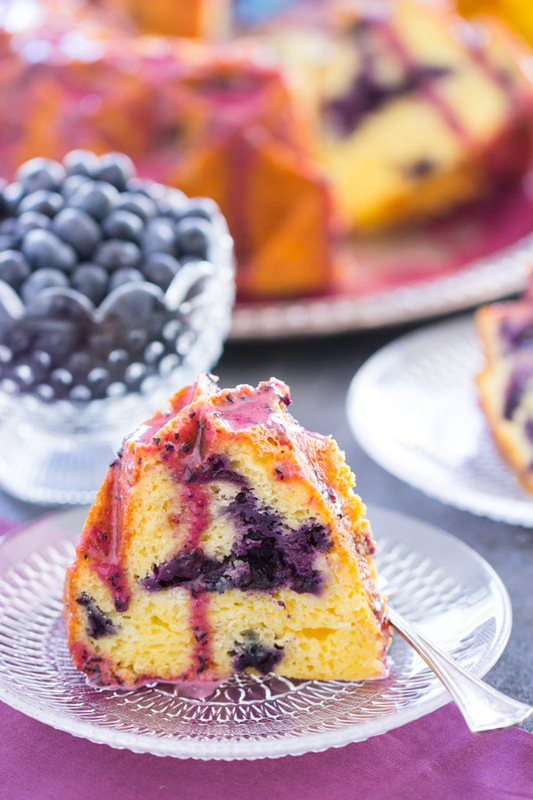 It really adds emphasis to the juicy blueberries that are bursting throughout the cake. It really magnifies the fresh, plump berries. It’s great. And the best part, like in this Lemon Bundt Cake, is that the glaze pools in all those crevices of the bundt. Those divets just soak up glaze like a waffle. It’s fantastic. 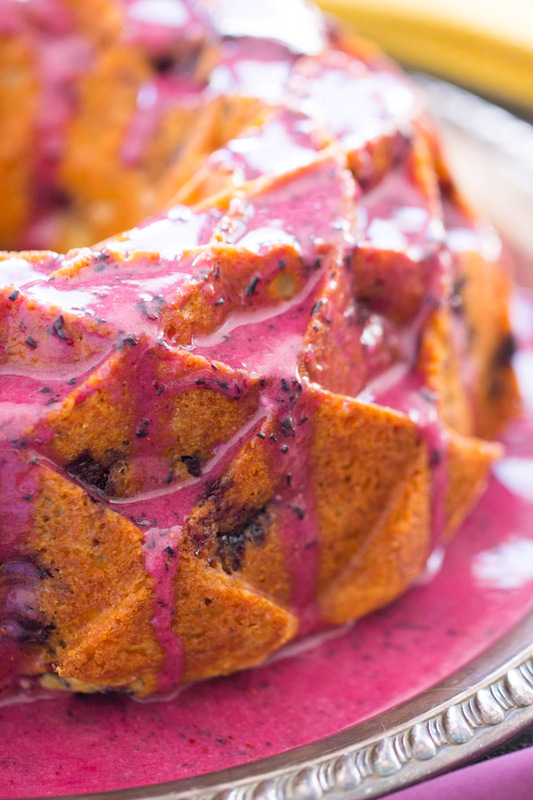 Therefore, we’ve got to chat about this bundt pan again. You’ve GOT to buy that pan. 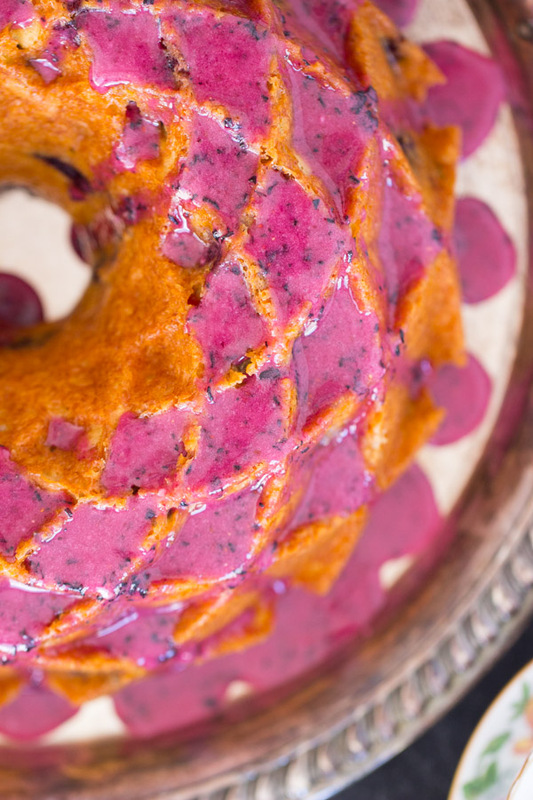 It’s the Nordic Ware Jubilee bundt, and I adore it. 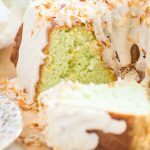 It doesn’t just produce a really beautiful and pretty bundt cake, but the cake comes out easily without leaving any crumbs behind, and I also love how it collects glaze in the pockets. One more thing: the design on the cake gives me accurate cutting points. Maybe this is just a food blogger problem, but it’s really hard to cut circular items into perfect, even pieces. Pies, cheesecakes, cakes, and bundts. I make a cut that looks really precise and even, and then somehow my spacing is off. With this bundt, I didn’t end up with any wonky bundt cake slices because I could measure by the little pockets! 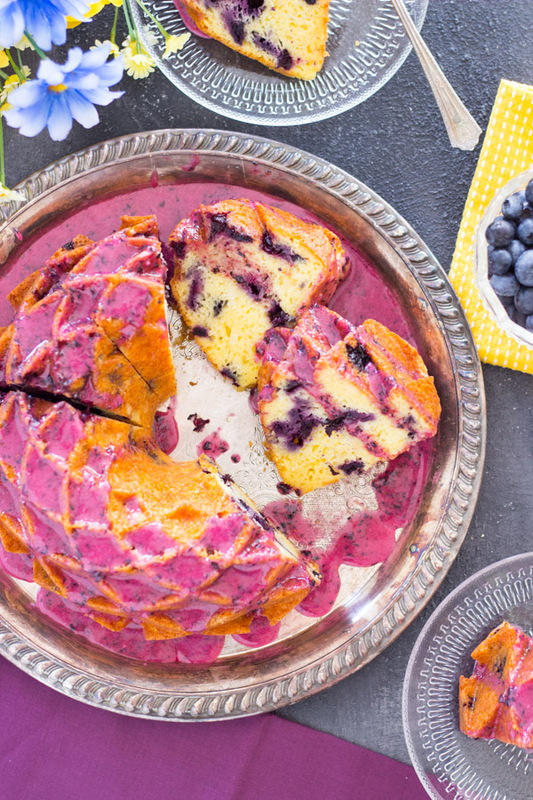 This Blueberry Bundt Cake took place on a mass-baking weekend where everything was going right, surprisingly. The recipes were all turning out just how I wanted, and the pictures were decent. Like the Lemon Bundt Cake photos, I really like these images too. I started shuffling around older recipes that I made at the beginning of the year so that I could get you these cakes, so don’t be surprised if I post another soup recipe in a few days that was supposed to go out in February or March! 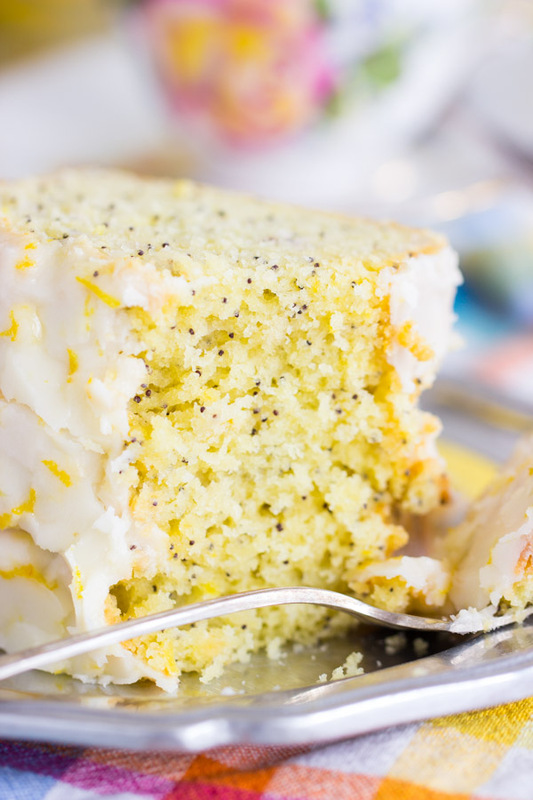 This cake is easy from start-to-finish, and comes together rather quickly too. You don’t need a mixer to prep any component of this cake, and it’s altogether just a few ingredients. It’s a really nice, elegant cake with simple, but bold, pure flavors! 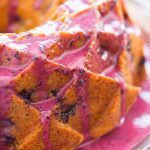 This Blueberry Bundt Cake is bursting with fresh, plump blueberries, and doused in a simple and elegant blueberry glaze! 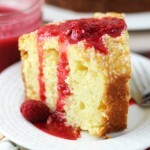 In a large bowl, stir together cake mix, pudding mix, eggs, sour cream, and oil. Batter will be thick! Carefully fold in the blueberries. 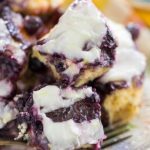 Batter is thick, but if you are gentle, the blueberries won't smash or burst. Spread the batter evenly into a well-greased tube pan or angel food cake pan. Bake at 350 degrees for 40-45 minutes, or until a toothpick inserted near center comes out clean, and the edges are golden brown. Cool cake in pan for 15 minutes before removing to a wire rack to cool completely. Do not allow cake to cool completely in pan or it will stick! 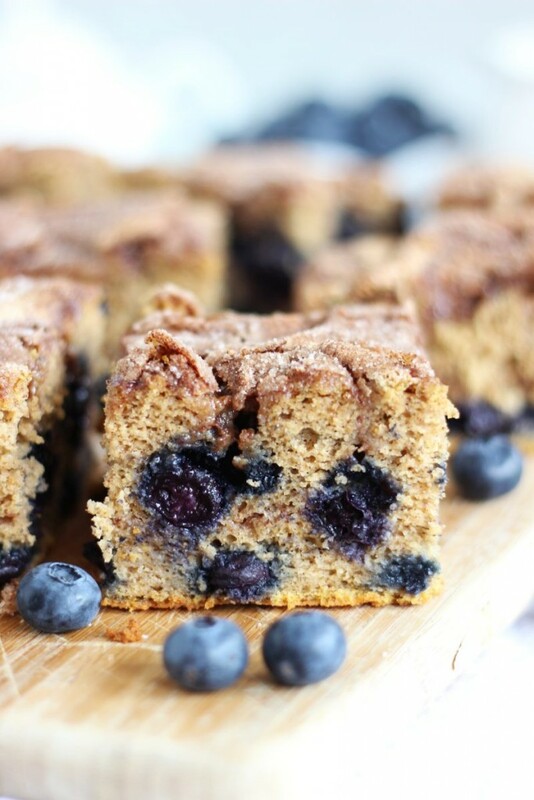 In a medium bowl, whisk together pureed blueberries, vanilla, water, and 1 1/2 cups powdered sugar, until smooth. Add more powdered sugar, as needed, to achieve a thick glaze. Once the cake is cool, drizzle with glaze. Slice and serve! I would love to pin this recipe, but my iPad can’t pin unless it’s an actual pin. I’ve gone they your Pinterest boards and can’t find this one. 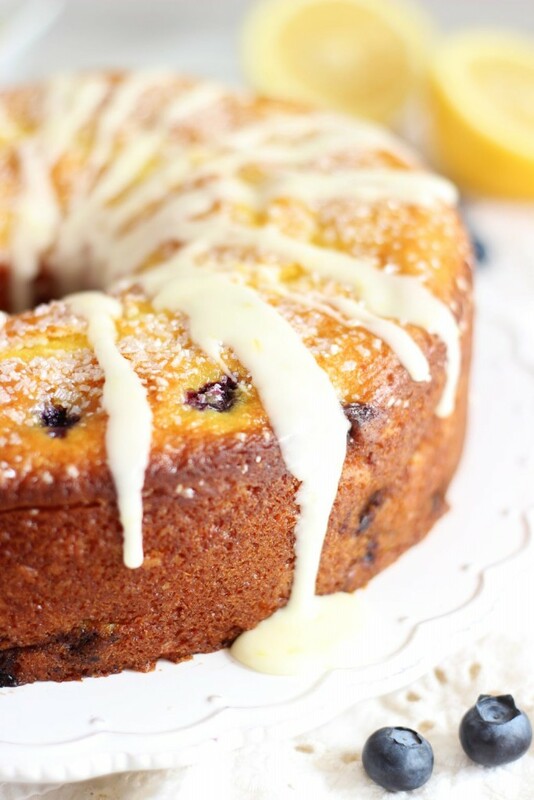 I find your lemon blueberry Bundt, but not this one. HELP! Am I just missing the right board? PS can’t print it either as I don’t have a printer.